Representative Honours: Northern Ireland: 31 Full Caps (1989-1999), 1 Junior Cap (1986); Irish League ‘B’ Division Representative; Football League: 1 Cap (1992). Club Honours: (with Linfield Swifts) Irish League ‘B’ Division Champion; George Wilson Cup Winner; (with Newcastle) Football League Division One Champion 1992/93; (with Forest) Football League Division One Runner-Up 1993/94. Awards: NI International Player of the Year 1993, 1997. For a player who’s career in the Irish League was limited almost exclusively to Linfield Swifts and who’s experiences in England were severely blighted by injury, Tommy Wright ranks amongst the most popular ever Northern Ireland ‘keepers. Wright will forever be remembered for his performance in Nuremburg in 1996 as Northern Ireland claimed a famous 1-1 draw against reigning European Champions, Germany. The circumstances surrounding it make that performance even more astounding. Wright hadn’t played an international match in almost two-and-a-half years to that point and had just returned to club action on loan at Reading after a prolonged injury nightmare. Germany’s Jurgen Klinsmann would later decry the wall built in front of Wright’s net, but truly this was the match of the ‘keeper’s life. Thirty-one caps was scant reward for a player of Wright’s ability, but he remained much sought after until the end of his career in England. He returned to the Irish League in August 2001, rejecting an offer from Bolton, to join Ballymena. Injuries struck again and he played just seven times for the Sky Blues before hanging-up his gloves and joining the coaching staff at Linfield. At Windsor Park he briefly re-registered as a player during an injury crisis but was not called-upon for firstteam action. Manager of Limavady United from 2003-2005 and Ballymena from May 2005 to April 2008, Wright has also worked for the Irish FA in Youth Development and was Northern Ireland goalkeeping-coach for a time under Sammy McIlroy. In May 2008 he took the job of goalkeeping coach at Norwich City having previously turned the position down. He left Carrow Road in February 2009 shortly after the departure of the manager that had hired him, Glenn Roeder. Linked with the management job at Glenavon, he instead joined ex-international teammate Michael O'Neill at Shamrock Rovers as goalkeeping coach. In September 2009 Wright returned to Irish League management with struggling Lisburn Distillery. He combined his roles at New Grosvenor and Shamrock Rovers until the end of the 2009 League of Ireland season before taking the Whites to safety and on to a Co-Operative Insurance Cup final win the following season. He left Distillery in November 2011 to become assistant-manager to ex-Northern Ireland and Manchester City colleague Steve Lomas at St Johnstone. In February 2012 Wright was announced as part of Michael O'Neill's Northern Ireland coaching staff. When Lomas left St Johnstone to manage Millwall in June 2013, Wright was promoted to the top job. He left his Northern Ireland post shortly thereafter. 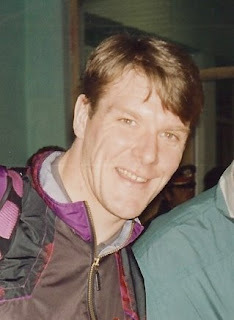 In his first season he led the Perth club to their first ever Scottish Cup final in which they defeated Dundee United. In 2016 he was named Scottish Premiership Manager of the Season having led the Saints to fourth place for a second consecutive campaign. Summary: 28(3)/0. Won 13, Drew 6, Lost 12.